By now, you've probably realized that we have an insane love for great affordable finds. Each week, we have vowed to highlight one of our favorite budget-friendly retailers of the moment, and this week is a crowd favorite—H&M. While scrolling through H&M's new arrivals, the word "impressed" didn't even begin to cut it. 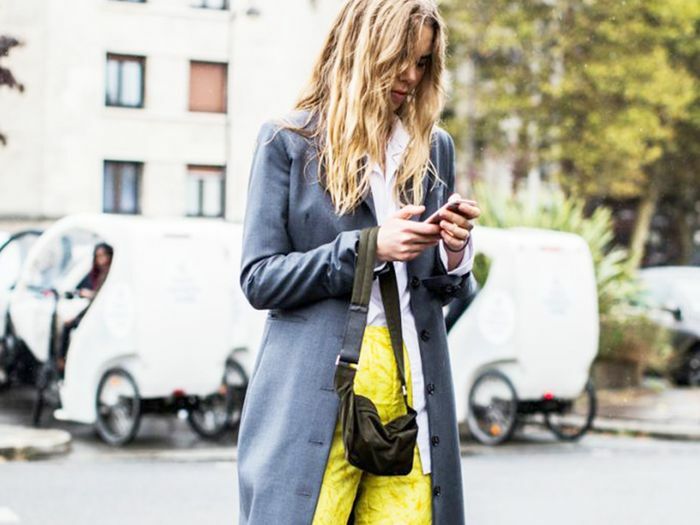 We're not talking about $10 tees or another pair of white tennis shoes here either—the items ahead are extremely on trend, look insanely expensive, and will make your wardrobe 10 times more exciting than it already is. Ready to shop? Go on to shop the 20 H&M items we already have in our carts. Colorblocking has never looked so good. You'll wear these with everything this season. Available in sizes 4.5 to 9.5. Dress this up with heels, or wear it on the weekend with chunky sneakers. But have you ever seen a cooler puffer? Available in sizes L to 2XL. A pajama set we can get on board with. This plus the pants in the next slide are all we can think about right now. Who knew you could crave a pair of pink pants so badly? And you should probably get these red ones while you're at it. The magic of this coat is all in the details. Because you probably need a fresh pair of black skinnies anyways. This hue is giving us all the feels. The new shoes you'll wear with all your jeans. Jazz up an all-black look with this topper. The cool-girl way to wear denim this fall. Meet your new going-out top. Look and feel like the star that you are. The darting on the waist of this top is so flattering. A blazer should never be boring. Next up, shop the jacket trends that are all over Instagram.